Indian River Inlet, DE: The 2017 Inland Bays Clean-Up was held on June 10th, organized by the Delaware Center for the Inland Bays, in conjunction with the DNREC’s Division of Fish & Wildlife Enforcement Section, and Division of Parks & Recreation. 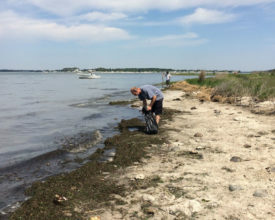 Leaving from Massey’s Landing Public Boat Ramp, sixty-nine participants in thirteen boats collected trash from Indian River and Rehoboth Bays. 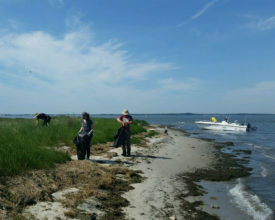 Volunteers scoured marshes and shorelines, picking up plastic bottles, tires, aluminum cans, plastic wrappers, docking lumber, and other assorted trash. All together, thirteen-hundred pounds of trash was collected and deposited into a dumpster provided by Waste Industries, Inc., and was disposed of via Delaware Solid Waste Authority’s Community Clean-Up Initiative, sponsored by State Senator Ernie Lopez. 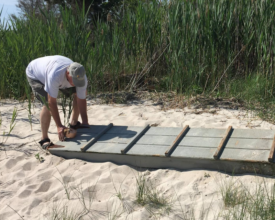 Thank you to these groups, as well as the Division of Fish and Wildlife Enforcement officers for patrolling the area and providing support, and to the Dewey Beach Lions Club who not only helped fund the event, but also provided the volunteers with some well-deserved hotdogs. Special thanks to Sargent Troy Trimmer and Seasonal Officers Danny Cropper and William Atkins of DFW Enforcement for coordinating use of the boat ramp and safety patrols in the area. 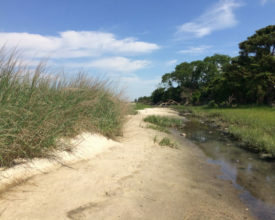 Trash in the Inland Bays can be harmful to the health and safety of bay users who support a thriving and regionally-important boating economy. Over fifty marinas cater to the Bays, and on a busy summer weekend, over 1,100 boats may be underway at one time. 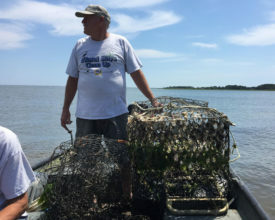 Of the approximately 60,000 registered boaters in Delaware, most use the Inland Bays. Thanks to the volunteers, businesses, and agencies that supported this annual event, we can keep the Inland Bays attractive and safe for these bay-users, and contribute positively to the quality of life in Coastal Sussex County. 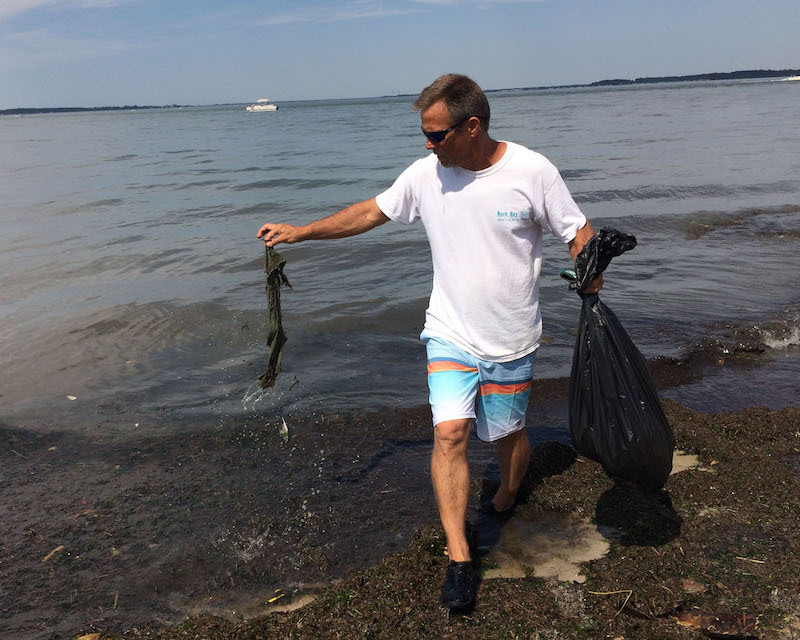 The Center will start planning soon for next year’s event, as well as organizing activities that clean up trash on our bays year-around. 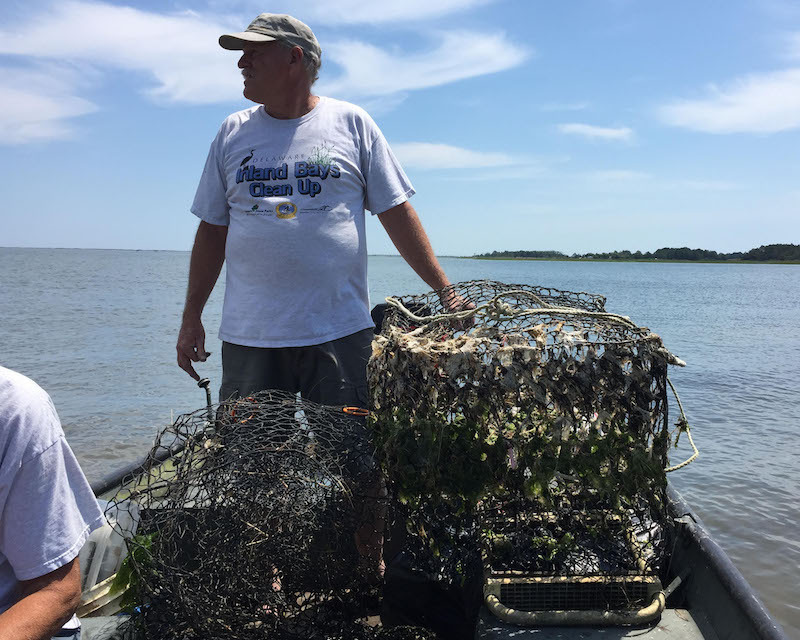 To get involved, please contact Bob Collins at the Delaware Center for the Inland Bays. He can be reached at 302-226-8105 (ext. 111) or jamesfarm@inlandbays.org. 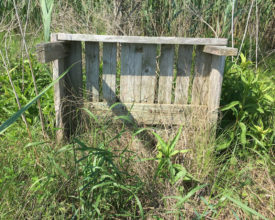 Several derelict crab pots were found washed ashore and abandoned. Wood debris contributed to much of our cleanup efforts. 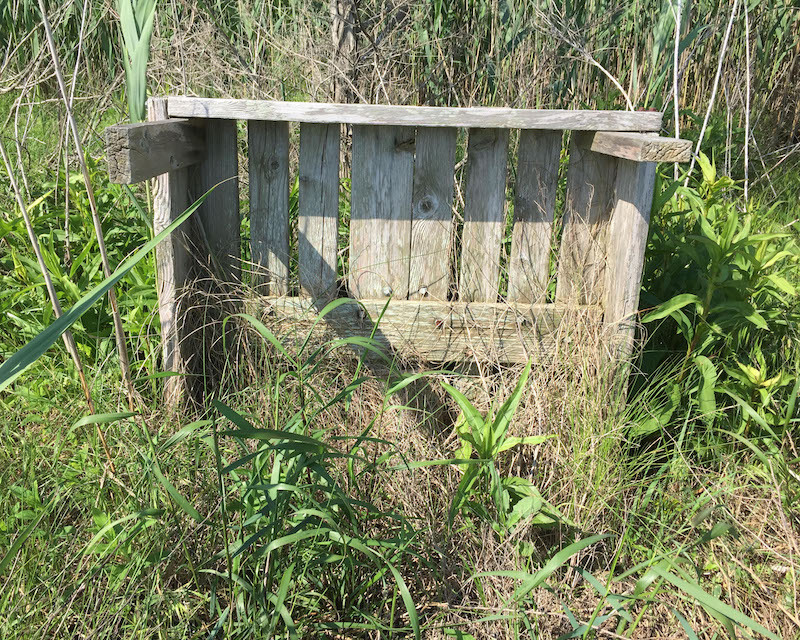 We suspect it comes from docks, old osprey platforms, and other structures washed out by flooding or old age. Large wood pallets were picked up by the clean-up crew. Pieces of plastic and fabric debris were found floating in the waves. Beer cans, shotguns shells, balloons, and rope were among the other items commonly found. 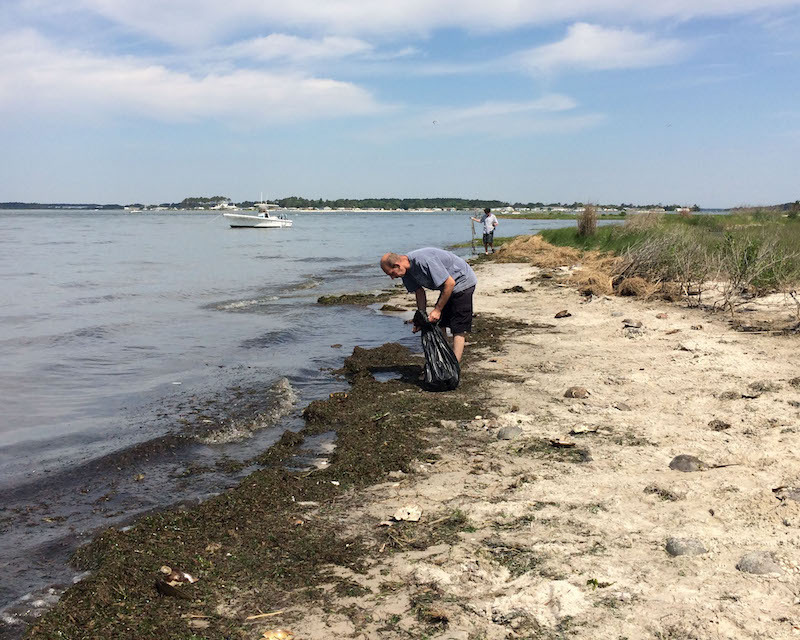 Picking up trash isn’t a glamorous job – but it sure comes with some great views! 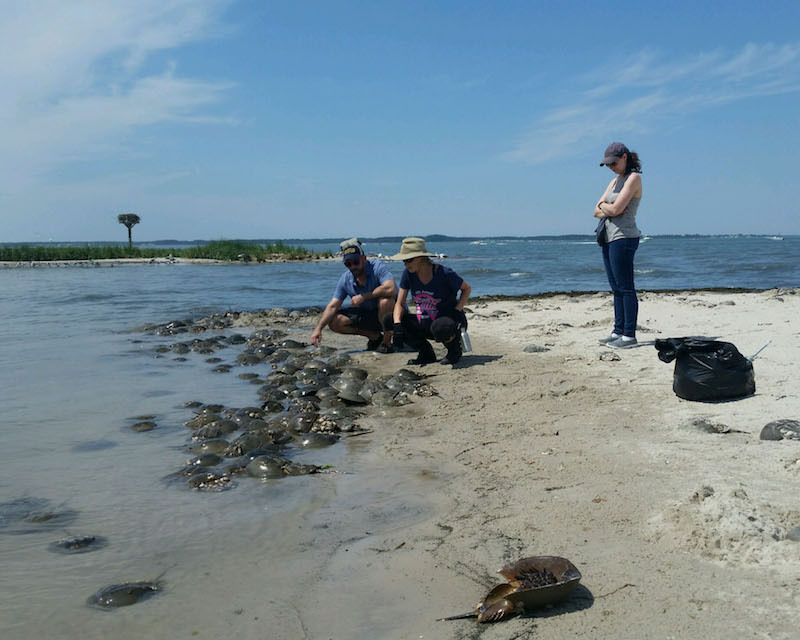 Cleaning up these marsh habitats can help protect critters like Blue Herons, Ospreys, Diamondback terrapins, and even horseshoe crabs from becoming entangled in or even trying to eat rash. Due to the clean-up’s proximity to the full moon, the horseshoe crabs were VERY active, mating along the shores of the Bays. 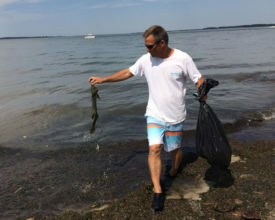 This entry was posted in PRESS RELEASE and tagged bays, clean-up, pollution, trash, volunteers. Bookmark the permalink.